About the 365 Day Series! 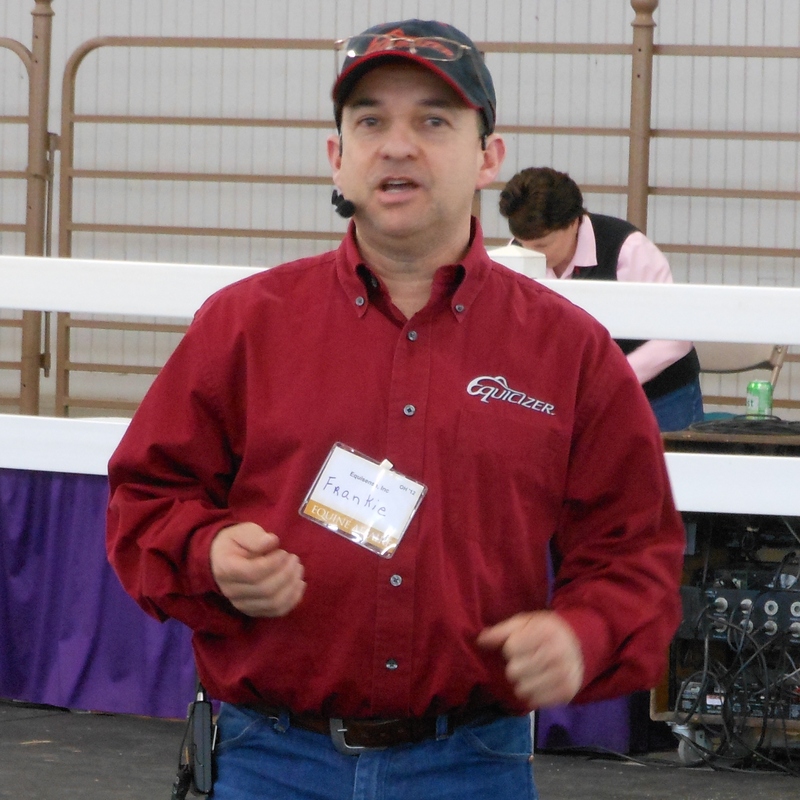 Frankie Lovato vowed to create 365 racing terminology videos for everyday of the year, 2013. This was an effort to better educate racing fans and bring awareness to Jockey World and our mission. Please watch and share with friends to support Frankie in his mission! 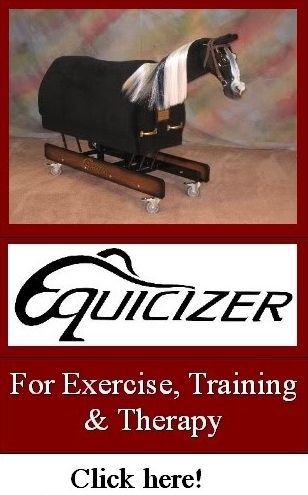 Frankie Lovato Jr - Former Eclipse Award-winning jockey, creator of the Equicizer, a mechanical horse used world-wide for training, exercise and therapy. 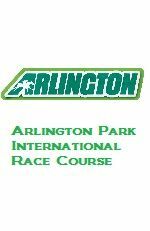 Also founder of Jockey World, Jockey Camp and Jockey World Radio, a 501(c)(3) non-profit organization dedicated to improving, promoting and providing more education, health and safety in the world of horse racing. News! 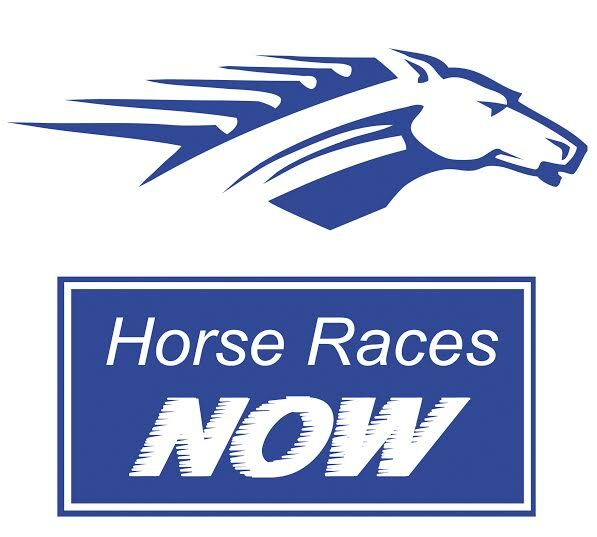 HorseRacesNOW.com to repost the entire 365 Day Series for every day 2014 in their Daily News Letter. Click Here to sign up now! 365 Days of Racing Terminology Challenge. Playlist updated daily. PART 1 Term Videos 1-200 "A thru N"
PART 2 Term Videos 201-365 "N thru Z"
Like & Share this page on Facebook! 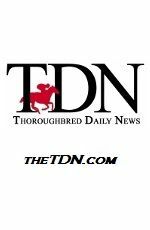 In an effort to better educate racing fans and those who aspire to work in the Thoroughbred racing industry, retired Eclipse Award-winning jockey Frank Lovato, Jr. has produced a "365 Days of Racing Terminology" video series. This endeavor is one of the largest Lovato has tackled in demonstrating the mission of his new nonprofit organization, Jockey World.org, which is to provide education and promote safety in the racing world. The project required Lovato to write and create a video every day of the year, each one explaining and illustrating a term or phrase pertinent to the sport of racing. "My idea behind this series was to offer a fun way to learn more about the world of horse racing, and this is all a part of my mission with our Jockey World organization. I decided to commit myself to taking a term every single day of the year and bringing it to life, embellishing on it, adding photos and video," Lovato stated. "I believe the better you understand something, the better chance you will enjoy it, and this brings us all together to share our love for horses and horse racing. The response has been amazing. Fans from all over the world have been responding on social media, and the series will always be available for the public to refer to and enjoy forever." The videos are very well done and use photos, video, and drawings along with the narration to not only define but demonstrate the terms. 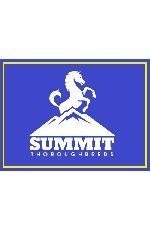 This is a great resource for any racing fan and will do a lot to further the job of educating people about horse racing and the complete series is available free of charge to viewers. Here are all 365 terms with a link to their video. 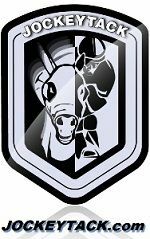 You can view more about the project at JockeyWorld as well a find links to their YouTube playlists. Racing Term #1 "Ace Deuce" from JockeyWorld.org and Frankie Lovato Jr. Racing Term #2 "Aces" from JockeyWorld.org and Frankie Lovato Jr. Racing Term #3 "Action" from JockeyWorld.org and Frankie Lovato Jr. Racing Term #4 "Agent" from JockeyWorld.org and Frankie Lovato Jr. Racing Term #5 "All Out" from JockeyWorld.org and Frankie Lovato Jr. 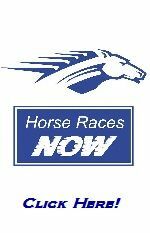 Racing Term #6 "Allowance Race" from JockeyWorld.org and Frankie Lovato Jr. Racing Term #7 "Also Eligible" from JockeyWorld.org and Frankie Lovato Jr. Racing Term #8 "Apprentice" from JockeyWorld.org and Frankie Lovato Jr. Racing Term #9 "Apron" from JockeyWorld.org and Frankie Lovato Jr. 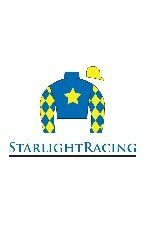 Racing Term #10 "Assistant Starter" from JockeyWorld.org and Frankie Lovato Jr. Racing Term #11 "Baby Race" from JockeyWorld.org and Frankie Lovato Jr. Racing Term #12 "Backstretch" from JockeyWorld.org and Frankie Lovato Jr. Racing Term #13 "Bad Actor" from JockeyWorld.org and Frankie Lovato Jr. Racing Term #14 "Bad Doer" from JockeyWorld.org and Frankie Lovato Jr. Racing Term #15 "Bad Gate Horse" from JockeyWorld.org and Frankie Lovato Jr. Racing Term #16 "Bandage" from JockeyWorld.org and Frankie Lovato Jr. Racing Term #17 "Bar Shoe" from JockeyWorld.org and Frankie Lovato Jr. Racing Term #18 "Bay" from JockeyWorld.org and Frankie Lovato Jr. Racing Term #19 "Bearing In or Out" from JockeyWorld.org and Frankie Lovato Jr. Racing Term #20 "Beyer Number/Speed Figure" from JockeyWorld.org and Frankie Lovato Jr. Racing Term #21 "Billets" from JockeyWorld.org and Frankie Lovato Jr. Racing Term #22 "Black Letter or Bullet Work" from JockeyWorld.org and Frankie Lovato Jr. Racing Term #23 "Black Type" from JockeyWorld.org and Frankie Lovato Jr. Racing Term #24 "Bleeder" from JockeyWorld.org and Frankie Lovato Jr. Racing Term #25 "Blew the Turn" from JockeyWorld.org and Frankie Lovato Jr. Racing Term #26 "Blinkers" from JockeyWorld.org and Frankie Lovato Jr. Racing Term #27 "Blowout" from JockeyWorld.org and Frankie Lovato Jr. Racing Term #28 "Bobble" from JockeyWorld.org and Frankie Lovato Jr. Racing Term #29 "Bottom" from JockeyWorld.org and Frankie Lovato Jr. Racing Term #30 "Bolt" from JockeyWorld.org and Frankie Lovato Jr. Racing Term #31 "Bounce" from JockeyWorld.org and Frankie Lovato Jr. Racing Term #32 "Break a Horse" from JockeyWorld.org and Frankie Lovato Jr. Racing Term #33 "Break from the Gate" from JockeyWorld.org and Frankie Lovato Jr. Racing Term #34 "Break Maiden" from JockeyWorld.org and Frankie Lovato Jr. Racing Term #35 "Breast Plate" from JockeyWorld.org and Frankie Lovato Jr. Racing Term #36 "Breeze" from JockeyWorld.org and Frankie Lovato Jr. Racing Term #37 "Bucked Shins" from JockeyWorld.org and Frankie Lovato Jr. Racing Term #38 "Bug Rider" from JockeyWorld.org and Frankie Lovato Jr. Racing Term #39 "Bull Ring" from JockeyWorld.org and Frankie Lovato Jr. Racing Term #40 "Caulk or Mud Caulk" from JockeyWorld.org and Frankie Lovato Jr. Racing Term #41 "Call" from JockeyWorld.org and Frankie Lovato Jr. Racing Term #42 "Card" from JockeyWorld.org and Frankie Lovato Jr. Racing Term #43 "Chalk" from JockeyWorld.org and Frankie Lovato Jr. Racing Term #44 "Chaps & Leggings" from JockeyWorld.org and Frankie Lovato Jr. Racing Term #45 "Chart" from JockeyWorld.org and Frankie Lovato Jr. Racing Term #46 "Checked" from JockeyWorld.org and Frankie Lovato Jr. Racing Term #47 "Chestnut" from JockeyWorld.org and Frankie Lovato Jr. Racing Term #48 "Chute" from JockeyWorld.org and Frankie Lovato Jr. Racing Term #49 "Circle the Field" from JockeyWorld.org and Frankie Lovato Jr. Racing Term #50 "Claiming Race" from JockeyWorld.org and Frankie Lovato Jr. Racing Term #51 "Classic" from JockeyWorld.org and Frankie Lovato Jr. Racing Term #52 "Clerk of Scales" from JockeyWorld.org and Frankie Lovato Jr. Racing Term #53 "Climbing" from JockeyWorld.org and Frankie Lovato Jr. Racing Term #54 "Clip Heels" from JockeyWorld.org and Frankie Lovato Jr. Racing Term #55 "Clocker" from JockeyWorld.org and Frankie Lovato Jr. Racing Term #56 "Closer" from JockeyWorld.org and Frankie Lovato Jr. Racing Term #57 "Clubhouse Turn" from JockeyWorld.org and Frankie Lovato Jr. Racing Term #58 "Colic" from JockeyWorld.org and Frankie Lovato Jr. Racing Term #59 "Colors" from JockeyWorld.org and Frankie Lovato Jr. Racing Term #60 "Colt" from JockeyWorld.org and Frankie Lovato Jr. Racing Term #61 "Company" from JockeyWorld.org and Frankie Lovato Jr. Racing Term #62 "Come From Behind Sprinter" from JockeyWorld.org and Frankie Lovato Jr. 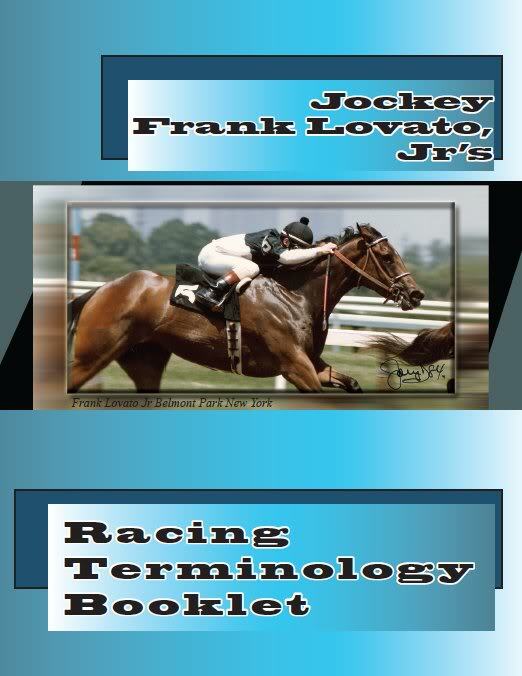 Racing Term #63 "Condition Book" from JockeyWorld.org and Frankie Lovato Jr. Racing Term #64 "Conformation" from JockeyWorld.org and Frankie Lovato Jr. Racing Term #65 "Contract Rider" from JockeyWorld.org and Frankie Lovato Jr. Racing Term #66 "Cooling Out" from JockeyWorld.org and Frankie Lovato Jr. Racing Term #67 "Coupled Entry" from JockeyWorld.org and Frankie Lovato Jr. Racing Term #68 "Cribber" from JockeyWorld.org and Frankie Lovato Jr. Racing Term #69 "Cross" from JockeyWorld.org and Frankie Lovato Jr. Racing Term #70 "Cup" from JockeyWorld.org and Frankie Lovato Jr. Racing Term #71 "Cuppy" from JockeyWorld.org and Frankie Lovato Jr. Racing Term #72 "Cushion" from JockeyWorld.org and Frankie Lovato Jr. Racing Term #73 "Cooler" from JockeyWorld.org and Frankie Lovato Jr. Racing Term #74 "Daily Racing Form" from JockeyWorld.org and Frankie Lovato Jr. Racing Term #75 "Dead Heat" from JockeyWorld.org and Frankie Lovato Jr. Racing Term #76 "Derby" from JockeyWorld.org and Frankie Lovato Jr. Racing Term #77 "Disqualification (DQ)" from JockeyWorld.org and Frankie Lovato Jr. Racing Term #78 "Distaff" from JockeyWorld.org and Frankie Lovato Jr. Racing Term #79 "Distanced" from JockeyWorld.org and Frankie Lovato Jr. Racing Term #80 "Dogs" from JockeyWorld.org and Frankie Lovato Jr. Racing Term #81 "Draw for a Race" from JockeyWorld.org and Frankie Lovato Jr. Racing Term #82 "Driving" from JockeyWorld.org and Frankie Lovato Jr. Racing Term #83 "Drop Down" from JockeyWorld.org and Frankie Lovato Jr. Racing Term #84 "Dwelt" from JockeyWorld.org and Frankie Lovato Jr. Racing Term #85 "Eased" from JockeyWorld.org and Frankie Lovato Jr. Racing Term #86 "Easily" from JockeyWorld.org and Frankie Lovato Jr. Racing Term #87 "Eclipse Award" from JockeyWorld.org and Frankie Lovato Jr. Racing Term #88 "Eighth" from JockeyWorld.org and Frankie Lovato Jr. Racing Term #89 "Eligible" from JockeyWorld.org and Frankie Lovato Jr. Racing Term #90 "Endoscope" from JockeyWorld.org and Frankie Lovato Jr. Racing Term #91 "EPM" from JockeyWorld.org and Frankie Lovato Jr. Racing Term #92 "Equibase" from JockeyWorld.org and Frankie Lovato Jr. Racing Term #93 "Equipment" from JockeyWorld.org and Frankie Lovato Jr. Racing Term #94 "Evenly" from JockeyWorld.org and Frankie Lovato Jr. Racing Term #95 "Excused" from JockeyWorld.org and Frankie Lovato Jr. Racing Term #96 "Exercise Rider" from JockeyWorld.org and Frankie Lovato Jr. Racing Term #97 "Extended" from JockeyWorld.org and Frankie Lovato Jr. Racing Term #98 "Faltered" from JockeyWorld.org and Frankie Lovato Jr. Racing Term #99 "Farrier" from JockeyWorld.org and Frankie Lovato Jr. Racing Term #100 "Fast Track" from JockeyWorld.org and Frankie Lovato Jr. Racing Term #101 "Feature Race" from JockeyWorld.org and Frankie Lovato Jr. Racing Term #102 "Fence" from JockeyWorld.org and Frankie Lovato Jr. Racing Term #103 "Figure Eight" from JockeyWorld.org and Frankie Lovato Jr. Racing Term #104 "Field" from JockeyWorld.org and Frankie Lovato Jr. Racing Term #105 "Filly" from JockeyWorld.org and Frankie Lovato Jr. Racing Term #106 "Firm" from JockeyWorld.org and Frankie Lovato Jr. Racing Term #107 "First Turn" from JockeyWorld.org and Frankie Lovato Jr. Racing Term #108 "Flat Race" from JockeyWorld.org and Frankie Lovato Jr. Racing Term #109 "Flatten Out" from JockeyWorld.org and Frankie Lovato Jr. Racing Term #110 "Flip" from JockeyWorld.org and Frankie Lovato Jr. Racing Term #111 "Float" from JockeyWorld.org and Frankie Lovato Jr. Racing Term #112 "Form & Style" from JockeyWorld.org and Frankie Lovato Jr. Racing Term #113 "Four Furlongs" from JockeyWorld.org and Frankie Lovato Jr. Racing Term #114 "Founder (Laminitis)" from JockeyWorld.org and Frankie Lovato Jr. Racing Term #115 "Fractional Time" from JockeyWorld.org and Frankie Lovato Jr. Racing Term #116 "Fresh (Freshened)" from JockeyWorld.org and Frankie Lovato Jr. Racing Term #117 "Free Handicap" from JockeyWorld.org and Frankie Lovato Jr. Racing Term #118 "Front-Runner" from JockeyWorld.org and Frankie Lovato Jr. Racing Term #119 "Furlong" from JockeyWorld.org and Frankie Lovato Jr. Racing Term #120 "Furosemide (Lasix)" from JockeyWorld.org and Frankie Lovato Jr. Racing Term #121 "Gait" from JockeyWorld.org and Frankie Lovato Jr. Racing Term #122 "Gallop" from JockeyWorld.org and Frankie Lovato Jr. Racing Term #123 "Gallop Out" from JockeyWorld.org and Frankie Lovato Jr. Racing Term #124 "Gate" from JockeyWorld.org and Frankie Lovato Jr. Racing Term #125 "Gate Card" from JockeyWorld.org and Frankie Lovato Jr. Racing Term #126 "Gate Crew" from JockeyWorld.org and Frankie Lovato Jr. Racing Term #127 "Gate Schooling" from JockeyWorld.org and Frankie Lovato Jr. Racing Term #128 "Gelding" from JockeyWorld.org and Frankie Lovato Jr. Racing Term #129 "Getting In" from JockeyWorld.org and Frankie Lovato Jr. Racing Term #130 "Girth" from JockeyWorld.org and Frankie Lovato Jr. Racing Term #131 "Going" from JockeyWorld.org and Frankie Lovato Jr. Racing Term #132 "Good Bottom" from JockeyWorld.org and Frankie Lovato Jr. Racing Term #133 "Good Doer" from JockeyWorld.org and Frankie Lovato Jr. Racing Term #134 "Good Track" from JockeyWorld.org and Frankie Lovato Jr. Racing Term #135 "Grab A Quarter" from JockeyWorld.org and Frankie Lovato Jr. Racing Term #136 "Graded or Group Race" from JockeyWorld.org and Frankie Lovato Jr. Racing Term #137 "Green" from JockeyWorld.org and Frankie Lovato Jr. Racing Term #138 "Groom" from JockeyWorld.org and Frankie Lovato Jr. Racing Term #139 "Hack" from JockeyWorld.org and Frankie Lovato Jr. Racing Term #140 "Half" from JockeyWorld.org and Frankie Lovato Jr. Racing Term #141 "Half-Brother or Half-Sister" from JockeyWorld.org and Frankie Lovato Jr. Racing Term #142 "Hand" from JockeyWorld.org and Frankie Lovato Jr. Racing Term #143 "Handicap" from JockeyWorld.org and Frankie Lovato Jr. Racing Term #144 "Handicapper" from JockeyWorld.org and Frankie Lovato Jr. Racing Term #145 "Handily" from JockeyWorld.org and Frankie Lovato Jr. Racing Term #146 "Handle" from JockeyWorld.org and Frankie Lovato Jr. Racing Term #147 "Hand Ride" from JockeyWorld.org and Frankie Lovato Jr. Racing Term #148 "Head" from JockeyWorld.org and Frankie Lovato Jr. Racing Term #149 "Head and Head" from JockeyWorld.org and Frankie Lovato Jr. Racing Term #150 "Head of the Stretch" from JockeyWorld.org and Frankie Lovato Jr. Racing Term #151 "Heavy" from JockeyWorld.org and Frankie Lovato Jr. Racing Term #152 "High Weight" from JockeyWorld.org and Frankie Lovato Jr. Racing Term #153 "Horse" from JockeyWorld.org and Frankie Lovato Jr. Racing Term #154 "Horsing" from JockeyWorld.org and Frankie Lovato Jr. Racing Term #155 "Horse Path" from JockeyWorld.org and Frankie Lovato Jr. Racing Term #156 "Horse Was Off" from JockeyWorld.org and Frankie Lovato Jr. Racing Term #157 "Hotwalker" from JockeyWorld.org and Frankie Lovato Jr. Racing Term #158 "Hung" from JockeyWorld.org and Frankie Lovato Jr. Racing Term #159 "Ice" from JockeyWorld.org and Frankie Lovato Jr. Racing Term #160 "In The Money" from JockeyWorld.org and Frankie Lovato Jr. Racing Term #161 "Infield" from JockeyWorld.org and Frankie Lovato Jr. Racing Term #162 "In Hand" from JockeyWorld.org and Frankie Lovato Jr. Racing Term #163 "Inquiry" from JockeyWorld.org and Frankie Lovato Jr. Racing Term #164 "Irons" from JockeyWorld.org and Frankie Lovato Jr. Racing Term #165 "Jar" from JockeyWorld.org and Frankie Lovato Jr. Racing Term #166 "Jockey Club" from JockeyWorld.org and Frankie Lovato Jr. 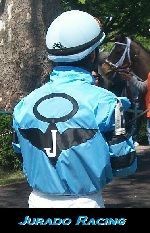 Racing Term #167 "Jockey Equipment (Tack)" of Ffrom JockeyWorld.org and Frankie Lovato Jr. Racing Term #168 "Jockey Fee" from JockeyWorld.org and Frankie Lovato Jr. Racing Term #169 "Jockey (Jock's) Room" from JockeyWorld.org and Frankie Lovato Jr. Racing Term #170 "Jog" from JockeyWorld.org and Frankie Lovato Jr. Racing Term #171 "Jumper" from JockeyWorld.org and Frankie Lovato Jr. Racing Term #172 "Journeyman" from JockeyWorld.org and Frankie Lovato Jr. Racing Term #173 "Juvenile" from JockeyWorld.org and Frankie Lovato Jr. Racing Term #174 "Knot" from JockeyWorld.org and Frankie Lovato Jr. Racing Term #175 "Lasix (Furosemide)" from JockeyWorld.org and Frankie Lovato Jr. Racing Term #176 "Layoff" from JockeyWorld.org and Frankie Lovato Jr. Racing Term #177 "Lead" from JockeyWorld.org and Frankie Lovato Jr. Racing Term #178 "Lead Pony" from JockeyWorld.org and Frankie Lovato Jr. Racing Term #179 "Leggings" from JockeyWorld.org and Frankie Lovato Jr. Racing Term #180 "Leg Up" from JockeyWorld.org and Frankie Lovato Jr. Racing Term #181 "Length" from JockeyWorld.org and Frankie Lovato Jr. Racing Term #182 "Listed Race" from JockeyWorld.org and Frankie Lovato Jr. Racing Term #183 "Lock" from JockeyWorld.org and Frankie Lovato Jr. Racing Term #184 "Lug" from JockeyWorld.org and Frankie Lovato Jr. Racing Term #185 "Lunge" from JockeyWorld.org and Frankie Lovato Jr. Racing Term #186 "Maiden" from JockeyWorld.org and Frankie Lovato Jr. Racing Term #187 "Main Track" from JockeyWorld.org and Frankie Lovato Jr. Racing Term #188 "Make A Run" from JockeyWorld.org and Frankie Lovato Jr. Racing Term #189 "Making Weight" from JockeyWorld.org and Frankie Lovato Jr. Racing Term #190 "Mare" from JockeyWorld.org and Frankie Lovato Jr. Racing Term #191 "Martingale" from JockeyWorld.org and Frankie Lovato Jr. Racing Term #192 "Medication List" from JockeyWorld.org and Frankie Lovato Jr. Racing Term #193 "Middle Distance" from JockeyWorld.org and Frankie Lovato Jr. Racing Term #194 "Middle Move" from JockeyWorld.org and Frankie Lovato Jr. Racing Term #195 "Morning Glory" from JockeyWorld.org and Frankie Lovato Jr. Racing Term #196 "Morning Line" from JockeyWorld.org and Frankie Lovato Jr. Racing Term #197 "Muddy Track" from JockeyWorld.org and Frankie Lovato Jr. Racing Term #198 "Mudder" from JockeyWorld.org and Frankie Lovato Jr. Racing Term #199 "Muzzle" from JockeyWorld.org and Frankie Lovato Jr. Racing Term #200 "Nailed" from JockeyWorld.org and Frankie Lovato Jr. Racing Term #201 "Near Side" from JockeyWorld.org and Frankie Lovato Jr. Racing Term #202 "Neck & Nose" from JockeyWorld.org and Frankie Lovato Jr. Racing Term #203 "Nod" from JockeyWorld.org and Frankie Lovato Jr. Racing Term #204 "Noseband" from JockeyWorld.org and Frankie Lovato Jr. Racing Term #205 "Oaks" from JockeyWorld.org and Frankie Lovato Jr. Racing Term #206 "Objection" from JockeyWorld.org and Frankie Lovato Jr. Racing Term #207 "Odds-On" from JockeyWorld.org and Frankie Lovato Jr. Racing Term #208 "Official" from JockeyWorld.org and Frankie Lovato Jr. Racing Term #209 "Off Side" from JockeyWorld.org and Frankie Lovato Jr. Racing Term #210 "Off or On The Bit" from JockeyWorld.org and Frankie Lovato Jr. Racing Term #211 "Off Track" from JockeyWorld.org and Frankie Lovato Jr. Racing Term #212 "Off The Turf" from JockeyWorld.org and Frankie Lovato Jr. Racing Term #213 "On The Board" from JockeyWorld.org and Frankie Lovato Jr. Racing Term #214 "One Paced" from JockeyWorld.org and Frankie Lovato Jr. Racing Term #215 "Outrider" from JockeyWorld.org and Frankie Lovato Jr. Racing Term #216 "Over-Reaching" from JockeyWorld.org and Frankie Lovato Jr. Racing Term #217 "Overweight" from JockeyWorld.org and Frankie Lovato Jr. Racing Term #218 "Paddock" from JockeyWorld.org and Frankie Lovato Jr. Racing Term #219 "Paddock Judge" from JockeyWorld.org and Frankie Lovato Jr. Racing Term #220 "Past Performances" from JockeyWorld.org and Frankie Lovato Jr. Racing Term #221 "Patrol Judge" from JockeyWorld.org and Frankie Lovato Jr. Racing Term #222 "Photo Finish" from JockeyWorld.org and Frankie Lovato Jr. 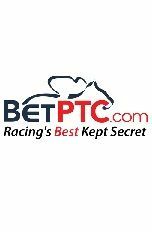 Racing Term #223 "Pierre 'Peb' Bellocq" from JockeyWorld.org and Frankie Lovato Jr. Racing Term #224 "Pinhooker" from JockeyWorld.org and Frankie Lovato Jr. Racing Term #225 "Pinched Back" from JockeyWorld.org and Frankie Lovato Jr. Racing Term #226 "Place" from JockeyWorld.org and Frankie Lovato Jr. Racing Term #227 "Placing Judges" from JockeyWorld.org and Frankie Lovato Jr. Racing Term #228 "Plates" from JockeyWorld.org and Frankie Lovato Jr. Racing Term #229 "Plodder" from JockeyWorld.org and Frankie Lovato Jr. Racing Term #230 "Pocket" from JockeyWorld.org and Frankie Lovato Jr. Racing Term #231 "Poles" from JockeyWorld.org and Frankie Lovato Jr. Racing Term #232 "Pony" from JockeyWorld.org and Frankie Lovato Jr. Racing Term #233 "Post" from JockeyWorld.org and Frankie Lovato Jr. Racing Term #234 "Post Parade" from JockeyWorld.org and Frankie Lovato Jr. Racing Term #235 "Post Position" from JockeyWorld.org and Frankie Lovato Jr. Racing Term #236 "Post Time" from JockeyWorld.org and Frankie Lovato Jr. Racing Term #237 "Prep (or Prep Race)" from JockeyWorld.org and Frankie Lovato Jr. Racing Term #238 "Prop and Wheel" from JockeyWorld.org and Frankie Lovato Jr. Racing Term #239 "Purse" from JockeyWorld.org and Frankie Lovato Jr. Racing Term #240 "Quarter" from JockeyWorld.org and Frankie Lovato Jr. Racing Term #241 "Quarter Crack" from JockeyWorld.org and Frankie Lovato Jr. Racing Term #242 "Quarter Horse" from JockeyWorld.org and Frankie Lovato Jr. Racing Term #243 "Quarter Pole" from JockeyWorld.org and Frankie Lovato Jr. Racing Term #244 "Quiet Hands" from JockeyWorld.org and Frankie Lovato Jr. Racing Term #245 "Rabbit" from JockeyWorld.org and Frankie Lovato Jr. 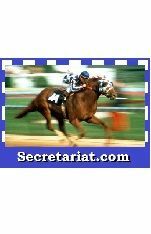 Racing Term #246 "Racing Secretary" from JockeyWorld.org and Frankie Lovato Jr. Racing Term #247 "Rank" from JockeyWorld.org and Frankie Lovato Jr. Racing Term #248 "Receiving Barn" from JockeyWorld.org and Frankie Lovato Jr. Racing Term #249 "Reduce" from JockeyWorld.org and Frankie Lovato Jr. Racing Term #250 "Refused" from JockeyWorld.org and Frankie Lovato Jr. Racing Term #251 "Re-Run or Replay" from JockeyWorld.org and Frankie Lovato Jr. Racing Term #252 "Ridden Out" from JockeyWorld.org and Frankie Lovato Jr. Racing Term #253 "Ride Short or Long" from JockeyWorld.org and Frankie Lovato Jr. Racing Term #254 "Rings" from JockeyWorld.org and Frankie Lovato Jr. Racing Term #255 "Rogue" from JockeyWorld.org and Frankie Lovato Jr. Racing Term #256 "Romp" from JockeyWorld.org and Frankie Lovato Jr. Racing Term #257 "Route or Router" from JockeyWorld.org and Frankie Lovato Jr. Racing Term 258 "Run Down" from JockeyWorld.org and Frankie Lovato Jr. Racing Term #259 "Run Out Bit" from JockeyWorld.org and Frankie Lovato Jr. 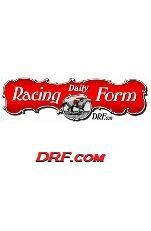 Racing Term #260 "Ruled Off" from JockeyWorld.org and Frankie Lovato Jr. Racing Term #261 "Saddle Cloth or Saddle Towel"from JockeyWorld.org and Frankie Lovato Jr. Racing Term #262 "Saddle Pad" from JockeyWorld.org and Frankie Lovato Jr. Racing Term #263 "Saddle Slip" from JockeyWorld.org and Frankie Lovato Jr. Racing Term #264 "Savage" from JockeyWorld.org and Frankie Lovato Jr. Racing Term #265 "Scale of Weights" from JockeyWorld.org and Frankie Lovato Jr. Racing Term #266 "Schooling" from JockeyWorld.org and Frankie Lovato Jr. Racing Term #267 "Schooling List" from JockeyWorld.org and Frankie Lovato Jr. Racing Term #268 "Scratch & Scratch Time" of Frfrom JockeyWorld.org and Frankie Lovato Jr. Racing Term #269 "Sealed Track" from JockeyWorld.org and Frankie Lovato Jr. Racing Term #270 "Second Call" from JockeyWorld.org and Frankie Lovato Jr. Racing Term #271 "Send" from JockeyWorld.org and Frankie Lovato Jr. Racing Term #272 "Sesamoid Bones" from JockeyWorld.org and Frankie Lovato Jr. Racing Term #273 "Set" from JockeyWorld.org and Frankie Lovato Jr. Racing Term #274 "Set Down" from JockeyWorld.org and Frankie Lovato Jr. Racing Term #275 "Seven Furlongs" from JockeyWorld.org and Frankie Lovato Jr. Racing Term #276 "Shadow Roll" from JockeyWorld.org and Frankie Lovato Jr. Racing Term #277 "Shammy (Chamois)" from JockeyWorld.org and Frankie Lovato Jr. Racing Term #278 "Shank" from JockeyWorld.org and Frankie Lovato Jr. Racing Term #279 "Shed Row" from JockeyWorld.org and Frankie Lovato Jr. Racing Term #280 "Shod" from JockeyWorld.org and Frankie Lovato Jr. Racing Term #281 "Shooting Ducks" from JockeyWorld.org and Frankie Lovato Jr. Racing Term #282 "Short" from JockeyWorld.org and Frankie Lovato Jr. Racing Term #283 "Show" from JockeyWorld.org and Frankie Lovato Jr. Racing Term #284 "Shut Off" from JockeyWorld.org and Frankie Lovato Jr. Racing Term #285 "Silks" from JockeyWorld.org and Frankie Lovato Jr. Racing Term #286 "Simulcast" from JockeyWorld.org and Frankie Lovato Jr. Racing Term #287 "Six Furlongs" from JockeyWorld.org and Frankie Lovato Jr. Racing Term #288 "Sixteenth" from JockeyWorld.org and Frankie Lovato Jr. Racing Term #289 "Sloppy" from JockeyWorld.org and Frankie Lovato Jr. Racing Term #290 "Snug" from JockeyWorld.org and Frankie Lovato Jr. Racing Term #291 "Soft" from JockeyWorld.org and Frankie Lovato Jr. Racing Term #292 "Solid Horse" from JockeyWorld.org and Frankie Lovato Jr. Racing Term #293 "Sophomore" from JockeyWorld.org and Frankie Lovato Jr. Racing Term #294 "Sound" from JockeyWorld.org and Frankie Lovato Jr. Racing Term #295 "Speed Bias" from JockeyWorld.org and Frankie Lovato Jr. Racing Term #296 "Speed Figure" from JockeyWorld.org and Frankie Lovato Jr. Racing Term #297 "Spit Box" from JockeyWorld.org and Frankie Lovato Jr. Racing Term #298 "Spit The Bit" from JockeyWorld.org and Frankie Lovato Jr. Racing Term #299 "Sprinter" from JockeyWorld.org and Frankie Lovato Jr. Racing Term #300 "Stake" from JockeyWorld.org and Frankie Lovato Jr. Racing Term #301 "Stakes-Placed" from JockeyWorld.org and Frankie Lovato Jr. Racing Term #302 "Stalk" from JockeyWorld.org and Frankie Lovato Jr. Racing Term #303 "Stall Walker" from JockeyWorld.org and Frankie Lovato Jr. Racing Term #304 "Starter" from JockeyWorld.org and Frankie Lovato Jr. Racing Term #305 "Starter Race" from JockeyWorld.org and Frankie Lovato Jr. Racing Term #306 "Starting Gate" from JockeyWorld.org and Frankie Lovato Jr. Racing Term #307 "State-Bred Race" from JockeyWorld.org and Frankie Lovato Jr. Racing Term #308 "Stayer" from JockeyWorld.org and Frankie Lovato Jr. Racing Term #309 "Steadied" from JockeyWorld.org and Frankie Lovato Jr. Racing Term #310 "Steal A Race" from JockeyWorld.org and Frankie Lovato Jr. Racing Term #311 "Step Up" from JockeyWorld.org and Frankie Lovato Jr. Racing Term #312 "Stewards" from JockeyWorld.org and Frankie Lovato Jr. Racing Term #313 "Steeplechase" from JockeyWorld.org and Frankie Lovato Jr. Racing Term #314 "Stick" from JockeyWorld.org and Frankie Lovato Jr. Racing Term #315 "Stickers" from JockeyWorld.org and Frankie Lovato Jr. Racing Term #316 "Stretch" from JockeyWorld.org and Frankie Lovato Jr. Racing Term #317 "Stretch Call" from JockeyWorld.org and Frankie Lovato Jr. Racing Term #318 "Stretch Runner" from JockeyWorld.org and Frankie Lovato Jr. Racing Term #319 "Stride" from JockeyWorld.org and Frankie Lovato Jr. Racing Term #320 "Stud Book" from JockeyWorld.org and Frankie Lovato Jr. Racing Term #321 "Sucked Back" from JockeyWorld.org and Frankie Lovato Jr. Racing Term #322 "Sulk" from JockeyWorld.org and Frankie Lovato Jr. Racing Term #323 "Suspend" from JockeyWorld.org and Frankie Lovato Jr. Racing Term #324 "Sweat Box" from JockeyWorld.org and Frankie Lovato Jr. Racing Term #325 "Swayback" from JockeyWorld.org and Frankie Lovato Jr. Racing Term #326 "Switch Sticks" from JockeyWorld.org and Frankie Lovato Jr. Racing Term #327 "Syndicate" from JockeyWorld.org and Frankie Lovato Jr. Racing Term #328 "Tack & Traps" from JockeyWorld.org and Frankie Lovato Jr. Racing Term #329 "Take Back" from JockeyWorld.org and Frankie Lovato Jr. Racing Term #330 "Taken Up" from JockeyWorld.org and Frankie Lovato Jr. Racing Term #331 "Tattoo" from JockeyWorld.org and Frankie Lovato Jr. Racing Term #332 "TB Farms & Training Centers" from JockeyWorld.org and Frankie Lovato Jr. Racing Term #333 "Thread The Needle" from JockeyWorld.org and Frankie Lovato Jr. Racing Term #334 "Throw A Fit" from JockeyWorld.org and Frankie Lovato Jr. Racing Term #335 "Throw Their Head" from JockeyWorld.org and Frankie Lovato Jr. Racing Term #336 "Throwing A Cross" from JockeyWorld.org and Frankie Lovato Jr. Racing Term #337 "Tie Up" from JockeyWorld.org and Frankie Lovato Jr. Racing Term #338 "Tongue Strap (Tongue Tie)" offrom JockeyWorld.org and Frankie Lovato Jr. Racing Term #339 "Top Weight" from JockeyWorld.org and Frankie Lovato Jr. Racing Term #340 "Track Bias" from JockeyWorld.org and Frankie Lovato Jr. Racing Term #341 "Track Conditions & Labels" offrom JockeyWorld.org and Frankie Lovato Jr. Racing Term #342 "Track Record" from JockeyWorld.org and Frankie Lovato Jr. Racing Term #343 "Track Veterinarian" from JockeyWorld.org and Frankie Lovato Jr. Racing Term #344 "Trip" from JockeyWorld.org and Frankie Lovato Jr. Racing Term #345 "Trip Horse" from JockeyWorld.org and Frankie Lovato Jr. Racing Term #346 "Triple Crown" from JockeyWorld.org and Frankie Lovato Jr. Racing Term #347 "Turf Course" from JockeyWorld.org and Frankie Lovato Jr. Racing Term #348 "Turn Downs" from JockeyWorld.org and Frankie Lovato Jr. Racing Term #349 "Turn of Foot" from JockeyWorld.org and Frankie Lovato Jr. Racing Term #350 "Twirling the Whip" from JockeyWorld.org and Frankie Lovato Jr. Racing Term #351 "Two Minute Lick" from JockeyWorld.org and Frankie Lovato Jr. Racing Term #352 "Two Turn Horse" from JockeyWorld.org and Frankie Lovato Jr. Racing Term #353 "Under Wraps" from JockeyWorld.org and Frankie Lovato Jr. Racing Term #354 "Valet" from JockeyWorld.org and Frankie Lovato Jr. Racing Term #355 "Vet's List & Vet Scratch" from JockeyWorld.org and Frankie Lovato Jr. Racing Term #356 "Walk Hots" from JockeyWorld.org and Frankie Lovato Jr. Racing Term #357 "Walkover" from JockeyWorld.org and Frankie Lovato Jr. Racing Term #358 "Washy or Washed Out" from JockeyWorld.org and Frankie Lovato Jr. Racing Term #359 "Weight for Age" from JockeyWorld.org and Frankie Lovato Jr. Racing Term #360 "Went for a Hotdog" from JockeyWorld.org and Frankie Lovato Jr. Racing Term #361 "Withers" from JockeyWorld.org and Frankie Lovato Jr. Racing Term #362 "Work or Workout" from JockeyWorld.org and Frankie Lovato Jr. Racing Term #363 "Yearling" from JockeyWorld.org and Frankie Lovato Jr. Racing Term #364 "Yoke" from JockeyWorld.org and Frankie Lovato Jr. Racing Term #365 "Zip" from JockeyWorld.org and Frankie Lovato Jr.